VINTAGE HEART 2: FRIDAY FLEA MARKET! Hope you find some nice things today on your "hunt". 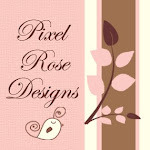 Here are a few new items with more listed in my Etsy store. 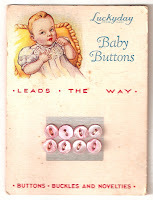 Sweet Vintage Baby Buttons on Original Card. Buttons are pink and there is one that is different than the rest.